Nine years ago I discovered it, and was captivated immediately. 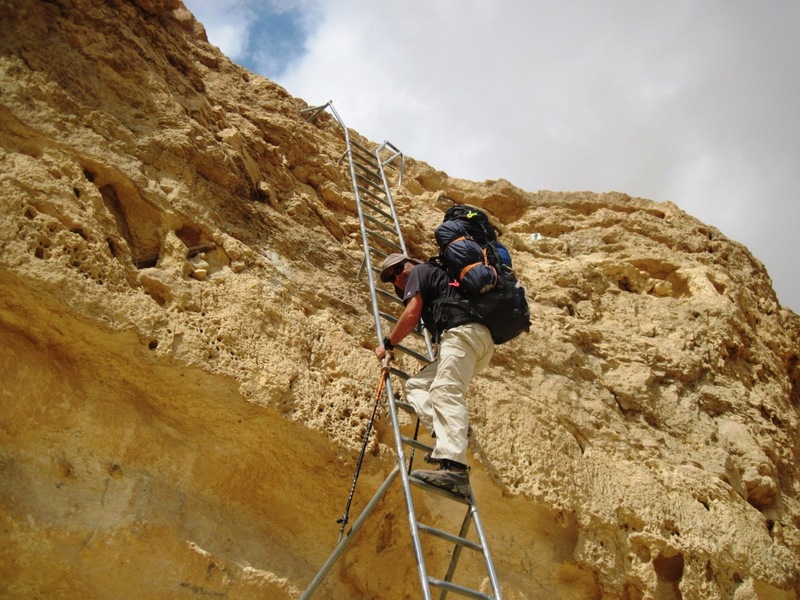 The Israel National Trail is a walking route 1000 km long crossing the entire state of Israel from Kibbutz Dan in the north to the Gulf of Eilat coast. Every year in the spring I take myself and take a few days along. I do it alone, by myself, and the experience is extraordinary. The route was carefully planned path and it goes through different topography, different settlement forms, religions and cultures. A mix of pure fun and meeting with the essence of the State of Israel makes it what it is. Jews, Arabs, Druze, religious, secular, young and old. Encounters are fascinating, inspiring and instills optimism that still, in our society there is something that others do not, something special. I truly like it all, but nothing compares to the desert. Is fascinating, amazing landscapes full of charm and stress-free. The desert is always a default for any future planning and therefore takes up a large part of my days and nights. I walked about two-thirds the length of the path so far. I envy those who can go the same sequence for two months of their lives. Getting to the trail follows a kind of fluttering excitement begins to bubble at the end of the winter and the approach of the trekking season. You feel it in your feet, head and heart. Hard to explain, but something pulls you into the wild open, to a strenuous walk for many hours a day, heat and cold, to something furthest possible from the daily routine of life. Something in the encounter with nature makes us think more modestly of ourselves, get proportions. Lots of preparations. All should be prepared wisely so as not to miss anything, and on the other hand, strictly on weight as low as possible. Each kilogram radically impacted when walking long distances, and let go of anything considered a luxury. The desert is demanding and dangerous for those not ready for it. Planning distances inaccurately, or wrong quantity of water could cost lives. This becomes curtail when you are alone. Huge spaces, many days without meeting a living soul. There are some clear-cut rules to be taken when hiking alone, and maintaining them may save your life. Walking alone is also harder. Weight carried is heavier and there is also this feeling of loneliness especially at the end of the day, when you spawn in your tent and there is no one to talk to. But nevertheless, the experience of solitude in nature is unique and powerful, allowing real, pure detachment, and permits deep thought like you can never experience in other times. And this moment worth everything.